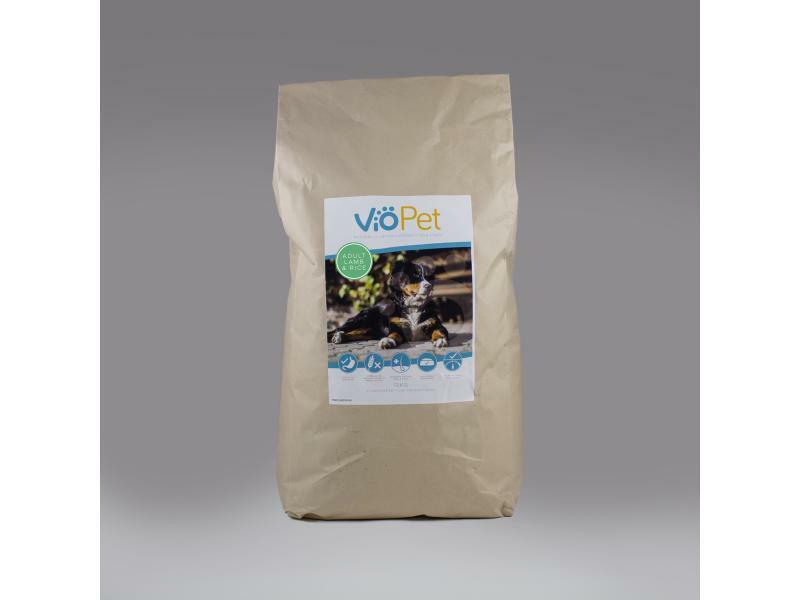 If you like our VioPet food, why not try our Training Treats or Natural Treats. 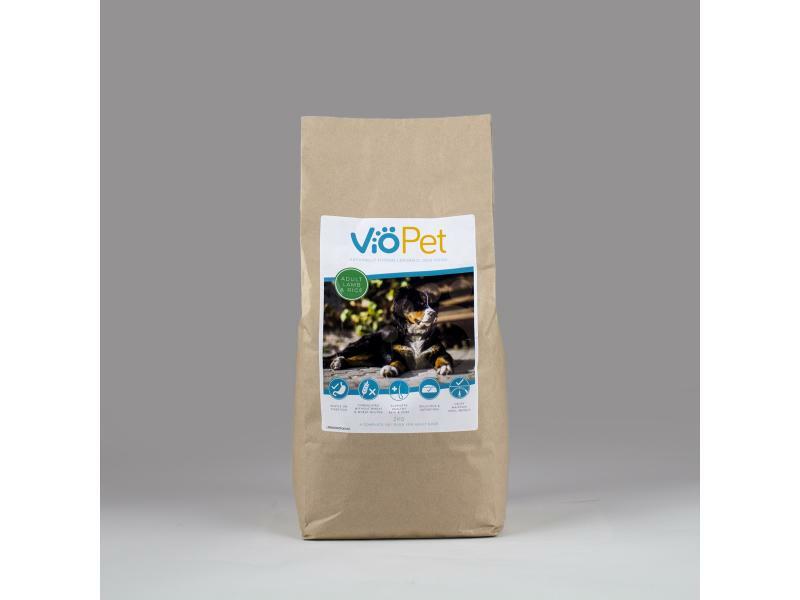 Lamb (34% including Dried Lamb, 4% Freshly Prepared Lamb, Lamb Stock, Lamb Fat), Rice (26%), Barley, Whole Linseed, Beet Pulp, Alfalfa, Minerals, Vitamins, Natural Seaweed, Omega 3 Supplement, Chicory Extract, Calcium Carbonate, Yucca Extract, Dandelion. Crude Protein 22%, Crude Oils & Fats 10%, Crude Fibre 3.5%, Crude Ash 9%, Omega 6 2.3%, Omega 3 1.5%, Calcium 2.3%, Phosphorus 1.3%. Metabolisable Energy 325 kcal/100g. Below are some recent questions we've received regarding VioPet® Adult Lamb & Rice Dog Food, including answers from our team. I feed my golden retriever with a mix of a large chicken kibble and salmon kibble and occasionally a lamb kibble which is also of medium size. what is the size of your own brand kibble please? 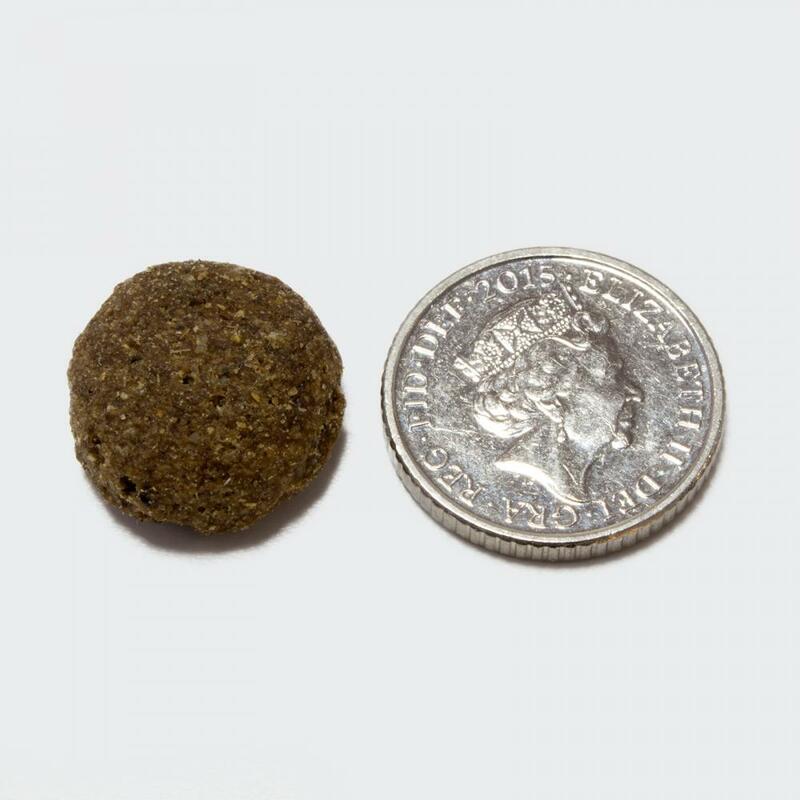 I'd describe the kibble size as medium - I've attached a photo of the kibble next to a 5p coin for a size reference. Yes, he should have no trouble with VioPet food. The Lamb & Rice flavour contains no poultry at all, only lamb. 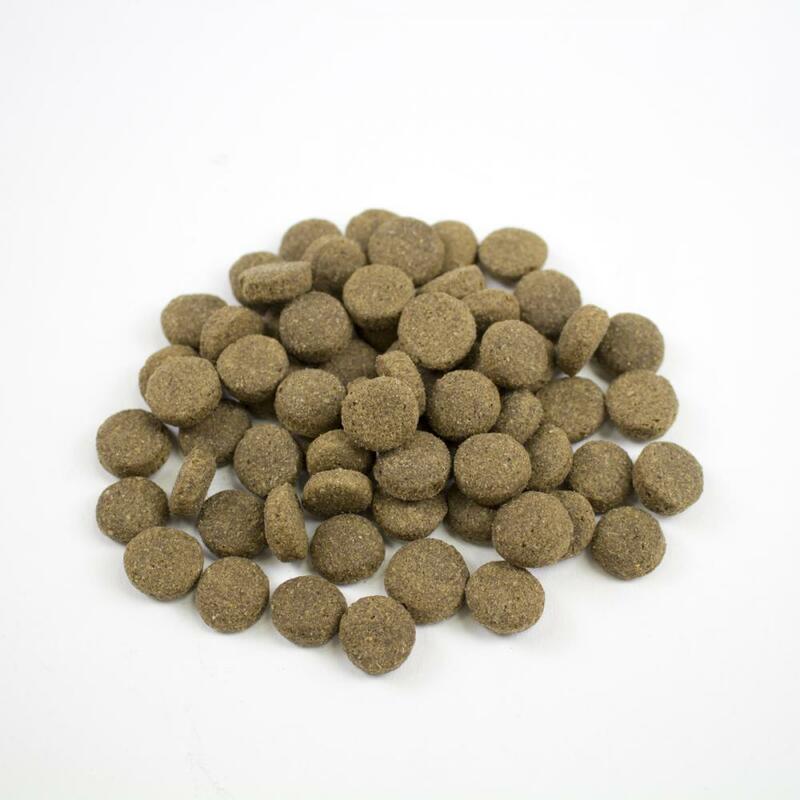 We've included highly digestible ingredients so it food is ideal for dogs with sensitive stomachs - it allows them to get the most from their food withouth putting stress on their gut. I'd recommend mixing a small amount into his normal food, and slowly increase the ratio of new to old food over the course of at least 7 days.